Article by Sam Blake ©. Posted in Resources (Getting Published). It is a truth universally acknowledged that the combination of a great title and a great cover are crucial stepping stones to readers discovering your – obviously – great book. In the same way that when we meet someone for the first time their dress, body language and demeanour influence our opinions, the reader forms opinions about your book from the moment they see it on the shelf. According to psychologists, when you first meet a person, they make a judgment about you in approximately four seconds, and their judgment is finalised largely within thirty seconds of the initial contact. The phrase, ‘you never get a second chance to make a good first impression’ holds true for people and for books. So getting it right is vital. Anyone who has been to an Inkwell workshop or met me in person will know that I have written a book called The Dressmaker. The full explanation for the title is here, but briefly the book was originally inspired by the life (and death) of George Fitzmaurice, a Kerry playwright, whose most famous play was performed at the Abbey Theatre in 1907 and was called The Country Dressmaker – that, and a dead baby in a suitcase (check the link!) 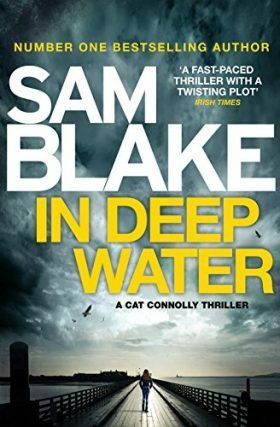 My book introduces Cathy (Cat) Connolly, a twenty four year old Garda Detective and kick boxing champion who discovers the bones of a baby hidden in the hem of a wedding dress – and the title came to me before I even knew how the bones got there. With a young, raven haired detective, a torn wedding dress, a story set in the picturesque village of Dalkey, you’d think there were many images that would make a stunning cover – old dressmaker’s patterns, scissors, Cathy’s boxing gloves, the Tiffany pendant that is so important to her. But in the design studio at Bonnier Publishing’s London headquarters, things weren’t going smoothly. Just as a writer can get ‘writer’s block’ when their creative flow is moving in the wrong direction, the same obviously happens with artists, although perhaps we have to credit Bonnier’s cover designer with psychic ability – he couldn’t get the cover right because the title wasn’t right. We just didn’t know that then. Covers were created and rejected. A cover shoot was organised with a model who, and I’m still slightly freaked out by the resemblance, was the spitting image of Cathy in my head. But the team at Bonnier’s Twenty7 were still shaking their heads – “the cover’s still not right yet”. And time crept on. Much discussion was had – the book and the movie would get confused, if you Googled ‘The Dressmaker’ how many hundreds of pages would it take to get to my book? If the movie won a BAFTA – at around the same time my book was due to be released – which ‘Dressmaker’ would people be talking about? Then my agent, Simon Trewin, was almost mown down by a bus on Tottenham Court Road that had an ad for ‘The Dressmaker’ plastered down the side. Someone was telling us that this WASN’T the title of the book. And so did I. A lot. Kate had become a fairy Godmother to my book, a fairy Godmother who waved her wand, and hours later we had the perfect cover. 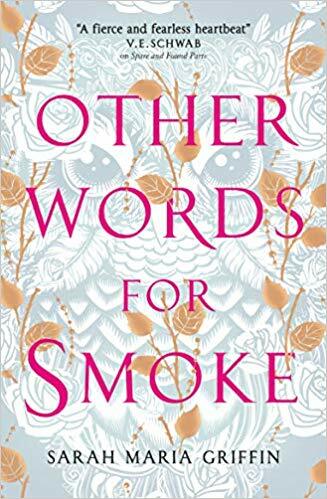 And it turns out that I’m not the only author who has had title dramas, here are a few famous books and their original titles that might surprise you…let’s hope in renaming my book we have given it the wings that some of these have! When Jane Austen’s father submitted an early version of her second novel, First Impressions, to a publisher on her behalf, it was rejected. As Pride and Prejudice, it did much better. Bafflingly, All’s Well that Ends Well was the original title for Tolstoy’s epic War and Peace — in fact, it was first released under that title until, as The Guardian says, ‘its publishers came to their senses’.. They Don’t Build Statues to Businessmen was the original title of Jaqueline Susann’s Valley of the Dolls. Trimalchio in West Egg; Among Ash-Heaps and Millionaires; On the Road to West Egg; Under the Red, White, and Blue; Gold-Hatted Gatsby; and The High-Bouncing Lover (yikes!) were all titles considered for F. Scott Fitzgerald’s The Great Gatsby. The Last Man in Europe wasn’t commercial enough for George Orwell’s publisher, who suggested they go with 1984. When William Golding’s first novel was discovered in Faber and Faber’s slush pile, it was called Strangers from Within. With a little editorial guidance, it became the Lord of the Flies. Evelyn Waugh’s The House of the Faith was changed to the much more distinctive title Brideshead Revisited. According to Flavorwire Joseph Heller originally imagined his novel as a Catch-11, but doubled the number to Catch-22 so as not to compete with the recently released Ocean’s Eleven. However, The Guardian suggests that it was titled Catch-18 but “Leon Uris had just published a novel about the Warsaw uprising and the publishers were afraid there might be confusion.” Confusion indeed! When Harper Lee decided her draft was about more than one character, Atticus became To Kill a Mockingbird. Food for thought for anyone submitting a new novel – but as you can see too, titles change, and sometimes it can take a whole team of the world’s most experienced publishing minds to get it right – I’m just very glad I’m on their team. 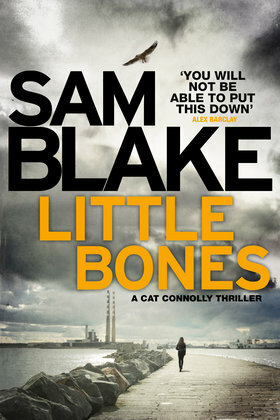 Little Bones will be in bookshops May 17, or preorder your copy online here and drop Vanessa an email (vanessa@writing.ie) and Sam Blake will send you a signed limited edition postcard to go with your book when it arrives (just let her know if you need a dedication). When Garda Cathy Connolly is called to investigate a routine break-in, she’s horrified by a grisly discovery: a vintage wedding dress, the hem lined with a baby’s bones. The case quickly escalates when the dress is connected to top Dublin fashion magnate Lavinia Grant – who has died that very day. The initial evidence suggests natural causes; Cathy suspects otherwise. The investigation pairs her with O’Rourke, an old friend from the force with whom she has a past. Normally Cathy would welcome his support – but she’s nursing a secret of her own, which becomes all the more difficult under his watchful gaze. However she can ill afford to become distracted. An infamous Las Vegas gangster has arrived in the city, leaving two bodies – and a buzzing FBI investigation – in his wake. This cold case is about to become very hot indeed . 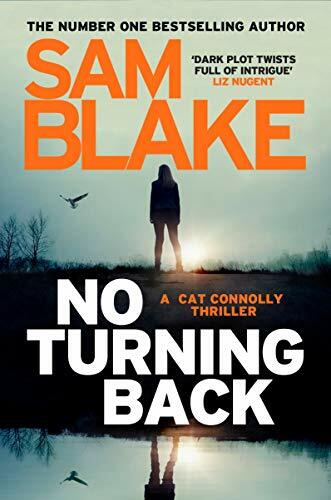 . .
Sam Blake is a pseudonym for Vanessa Fox O'Loughlin, the founder of The Inkwell Group publishing consultancy and the hugely popular national writing resources website Writing.ie. 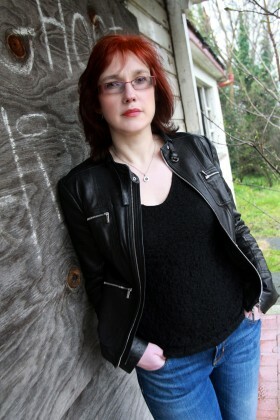 She is Ireland's leading literary scout who has assisted many award winning and bestselling authors to publication. Vanessa has been writing fiction since her husband set sail across the Atlantic for eight weeks and she had an idea for a book.